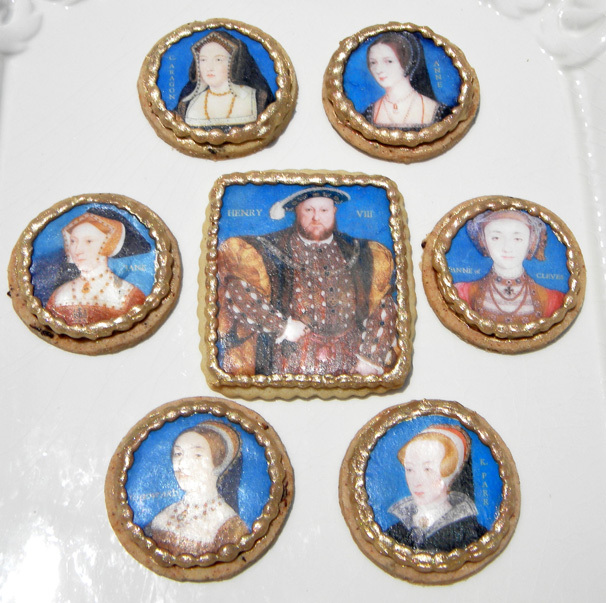 Two of the portraits already were round miniatures with blue backgrounds; the others, I photoshopped onto blue backgrounds, for uniformity. 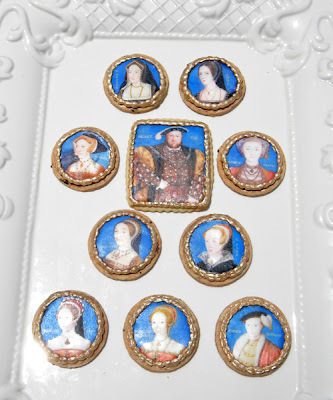 Each cookie has gold text with the subject's name, so you know exactly whom you are eating. Seven cookies aren't enough for anybody (right?! 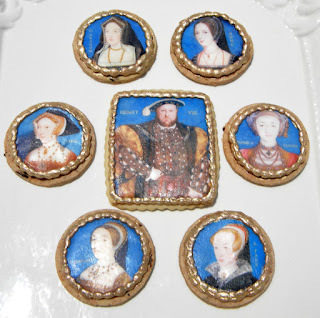 ), so I made it a full set of ten by adding Henry VIII's three legitimate children, all of whom became monarchs themselves: Mary, Elizabeth, and Edward. These cookies were made with Walker's Raspberry Shortbread Thins, which were the perfect size, a smidge over 2" round. 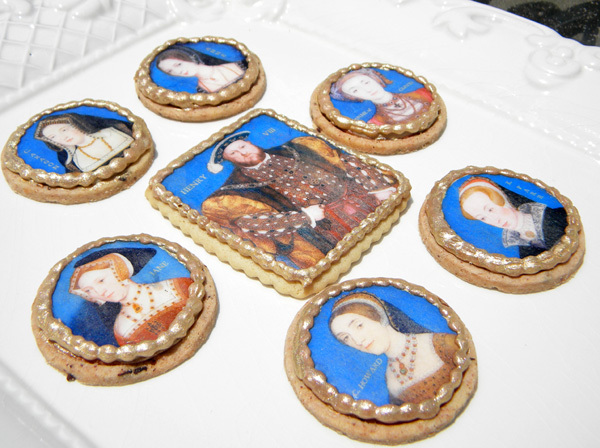 The Henry VIII cookie is a 2" x 3" rectangle. I iced them with lemon-flavored icing, and piped a border with a #16 star tip, which then got gilded with Wilton Pearl Dust in Gold. The wafer papers can be purchased at the Cookie Pixie shop HERE. visit: How to Decorate Cookies with Wafer Papers.